Steven Jay Goldwitz obituary. Carnes Funeral Home. 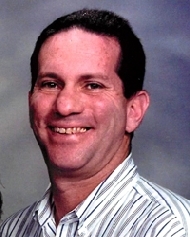 Steven Jay Goldwitz, 61, passed away on February 14, 2016. He was born on January 7, 1955. Steven Jay is survived by daughter, Kayla and son, Ryan. Graveside Services will be held at Congregation Beth Jacob Cemetery, 61st and T 1/2, Galveston, on Tuesday, February 16th at 2:00 PM, Rabbi Todd Doctor officiating. A 6:00 p.m. Kaddish Service will be held at Congregation Beth Jacob, 2401 Ave. K, Galveston on February 16, 2016. ©2018, Carnes Funeral Home. All rights reserved.